Originally from Brooklyn, NY, Howie moved to Kansas in 1968 to attend Ottawa University. He joined Renaissance in 1997 and currently has over 44 years of experience in the insurance and financial service industry. His main focus is in the area of executive benefit strategies, deferred compensation arrangements, key-person and buy/sell arrangements and succession solutions. Additional services he offers include disability and long-term care insurance and pension strategies. Howie has been a 24-time Chairman’s Club member*, among other Securian Club memberships, and he is also a qualifying member of the MDRT. He is also a Platinum Advisor* and Shareholder of Renaissance Financial. Howie frequently speaks to various industry groups on relationship building and wealth accumulation through financial products. Howie sits on the board for several organizations. This includes the One Heart Project, an activation campaign with the purpose of mobilizing individuals and organizations across America to participate in a movement to impact incarcerated and at-risk youth, True North Missions, a non-profit organization that provides comprehensive healthcare to the children of the Mayan Indian Tribes in Central America, and CrossFirst Bank. 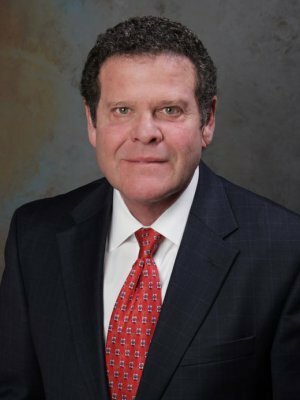 He is also a member of Premier Resource Group, a marketing and educational organization for experienced Securian advisors in their fields of expertise. Howie currently resides in Leawood, Kansas. Registered Representative, Securian Financial Services, Inc.